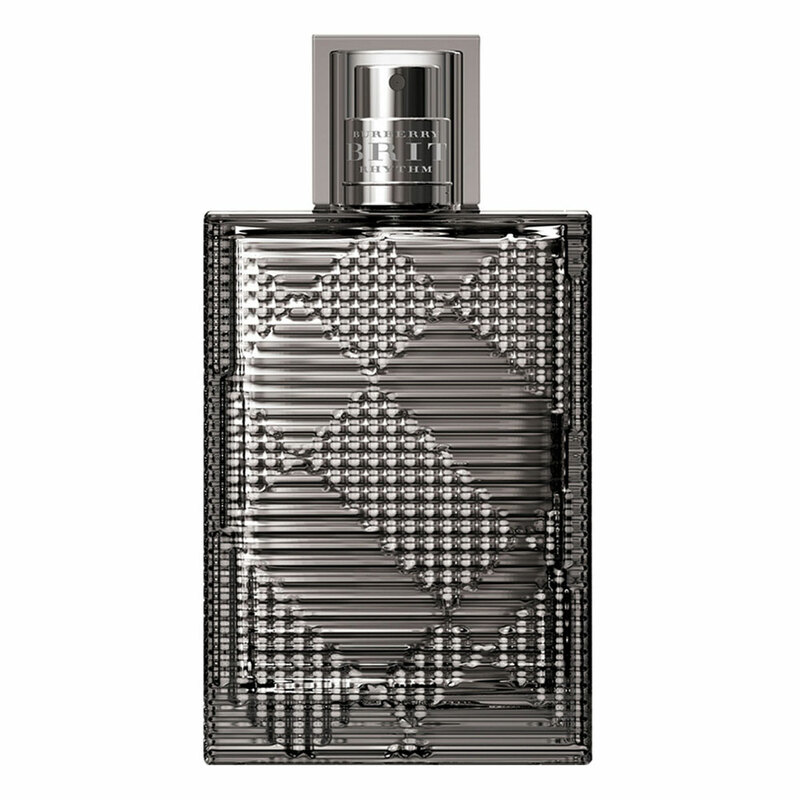 There are 6 reviews of Burberry Brit Rhythm for Him Intense. Wow…imagine taking a healthy whiff from a can of powdered grape flavored drink mix. That’s the instant sensation I get from this powerful formulation from Burberry! Leather and wood notes are quite strong, as is the pepper and unique caraway seed ingredient. The yield is a fiercely fruity-ambery-woody intense cologne with a powdery finish; I’d dare to say it falls into the “red” cologne category (cf. Polo Red Intense, Azzaro Elixir, Xeryus Rouge). Brit Rhythm Intense, as was mentioned in another review, does seem similar to 1 Million by Paco Rabanne. But otherwise, it smells quite unlike anything else currently on fragrance counters (except for its predecessor, Brit Rhythm), and that may be a good thing if you want something distinctive; but the sword cuts two ways, as such innovation may prove to be hard to connect with both the wearer and smeller. Brit Rhythm for Him Intense seems better suited for an informal night out with friends. Overall, I find myself intrigued by this scent, scratching my head as to what it’s trying to achieve beyond just being another “intense” potion, yet strangely drawn to its daring, bold, semi-gourmand construction. Sweet and uninspiring like its predecessor, however quite less irritating and atrocious. Sweet mainstream fragrance with no particular depth or character, but guess what, it works! Previous version from 2013. was an utter chem lash on me. This one, surprisingly isn't. A great bonus is I got it utterly cheap. Cold, disinterested, fruity, leathery and spices echoing in the distance. An effective representative of modern utilitarian approach to things. I blind bought this one because I'd already tried out Burberry Rhythm in the past, and I really liked that one. Rhythm intense is a more serious take on the original and the leather is as prominent as ever. Straight off the bat, I get leather, pepper, mint and tonka with a very subtle hint of raspberry. It opens up very loud, but settles down into a very nice, sweet scent. People who liked the original will love this one and to make things better it also lasts long and projects well. Recommended use would be at night for a date, or for clubbing. I've always wondered if certain flankers should not be flankers at all. I don't see why this wasn't just launched as a stand-alone offering for men by Burberry. Longevity is very good. Sillage is not bad. A good generic masculine scent for the modern metrosexual. A pleasant herbal, mildly spicy opening that is provided with a nice twist by a hint of mint. The drydown adds an interesting Artemisia underpinning together with a somewhat generic ambery impression. The woodsy base is dominated by a very synthetic vanilla note. In my skin this is a tad more interesting than the original, in spite of it's overall generic nature that prevents me from giving it a positive score. I get moderate sillage, adequate projection and a longevity of five hours. 2.5/5. A darker take on the original. The same comparison to 1 Million Intense to the original. There are no member images of Burberry Brit Rhythm for Him Intense yet. Why not be the first?